Have You Been Told You Need a Knee Replacement? Pacific Regenerative & Interventional Medicine Blog Have You Been Told You Need a Knee Replacement? If you have been told your only option for your knee arthritis is a total knee replacement, you are not alone. Thousands of patients every year are told this and often go through with this highly invasive and painful surgery. Some patients may take a year or more to recover fully. If you would like to know more about the alternatives to this type of surgery please read below. Platelet-rich plasma or PRP has been researched for over ten years for use in patients with knee arthritis. It has been found to be a powerful anti-inflammatory that lasts much longer than a cortisone injection. PRP is obtained through a simple blood draw that is put into a centrifuge to separate the platelet layer. The down-time is minimal and most patients can return to their previous activities typically in a little over a week. This is the synthetic version of hyaluronic acid, a substance found within joints that helps with the glide of the bones on each other. This substance is greatly reduced in arthritic knee joints and lends to the grinding sensation that some arthritic patients may feel. Injection of this substance can help reduce this grinding sensation and help return patients to improved functionality. Brice W. Blatz MD, MS Dr. Brice W. Blatz MD, MS is a double-board certified physician and medical director at Pacific Regenerative and Interventional Sports Medicine in San Jose, CA. He specializes in non-operative and minimally invasive options for arthritis, tendon problems and plantar fasciitis. Pacific Regenerative and Interventional Sports Medicine (PRISM) in San Jose, CA is on the cutting edge of orthopedic regenerative medicine trends. Read further for the latest on treating chronic tendon problems and arthritis. Register to hear a webinar hosted by Dr. Brice Blatz discussing several exciting new advances in regenerative orthopedic and sports medicine therapies for arthritis and chronic tendon problems. 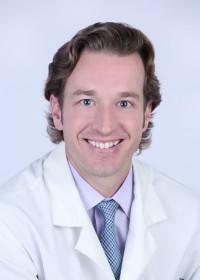 Dr. Brice Blatz will be speaking about the latest advancements in regenerativre sports medicine and orthopedics. This is a not miss if you would like to hear about alternative therapies for tennis elbow, arthritis and rotator cuff tears. Dr. Brice Blatz is headed to Colorado this weekend! LIPOGEMS ANNOUNCES NEW FDA CLEARANCE! Check out this Silicon Valley Business Press release. PRISM is proud to announce we now offer Lipogems!